According to Zillow, 48% of homebuyers look for new homes that have no previous owners. Because of this, custom built homes are becoming more and more popular choices. 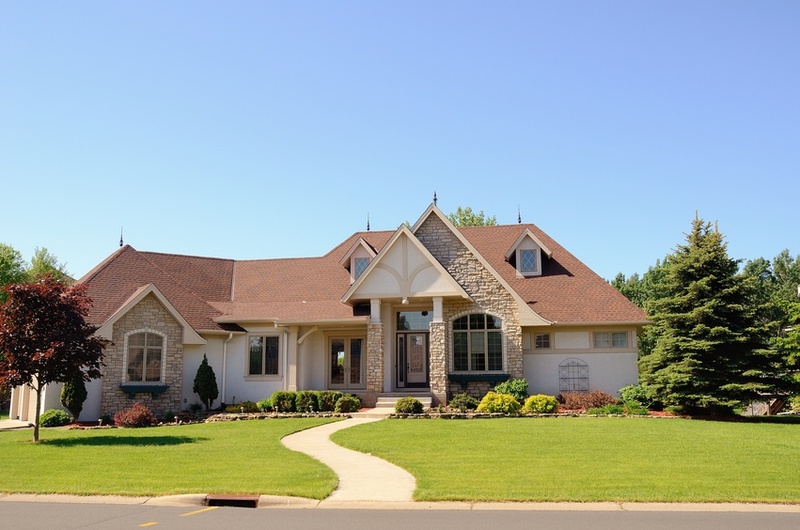 A custom home is a great way to ensure your home is exactly what you need and want. And to make this happen, you need to find a reputable builder to take on the project. This article is going to discuss a few ways to choose a home builder. When it comes time to look for a new home, more and more people are choosing custom luxury homes. With all of the options a custom home offers, buyers can ensure their new home has the features that mean the most to them. One popular feature people look for in a new home is environmentally friendly options. In fact, 48% of buyers looking at new luxury homes cite “energy-efficient” as their most desired quality. If you’re looking for a new home, this article is going to discuss a few reasons why you should consider energy efficient features. Many people consider buying their first home to be a major accomplishment. While there are some benefits that come with renting a luxury home, buying a home allows you to build equity and invest in your future. However, before you decide whether renting or buying is right for you, it’s important to be aware of the advantages and disadvantages that come with renting. Here are just a few basic pros and cons to consider when deciding whether to rent or buy your next home. In most cases, people who rent aren’t responsible for their apartment or home’s maintenance. This means that if any issues arise with utilities or appliances, it’s your property manager’s duty to resolve them. While this often alleviates a lot of stress, it can also mean that your property manager may have to enter your home or apartment more often, so be aware. As mentioned, many people see renting as essentially throwing away your money because of the simple fact that you aren’t gaining equity. Your rent payment goes to the property manager and it’s easy to feel like you’ll never see it again. Even though renting provides stability, this is the main reason it doesn’t typically work well as a long term financial option. When you own a home, on the other hand, you’re investing in your financial future and can eventually resell the property and get back the majority of your investment. One benefit of renting is that renters can typically relocate slightly faster than homeowners in the event that they receive a job opportunity, quickly change financial status, or have another unexpected life situation. However, homeowners can often make decisions that expedite their relocation processes as well, such as renting out their current home. Fortunately, about 92% of people now use the Internet in their home search, making it simple to browse homes for rent or for sale online. Finally, rental properties can’t typically be individualized or personalized. 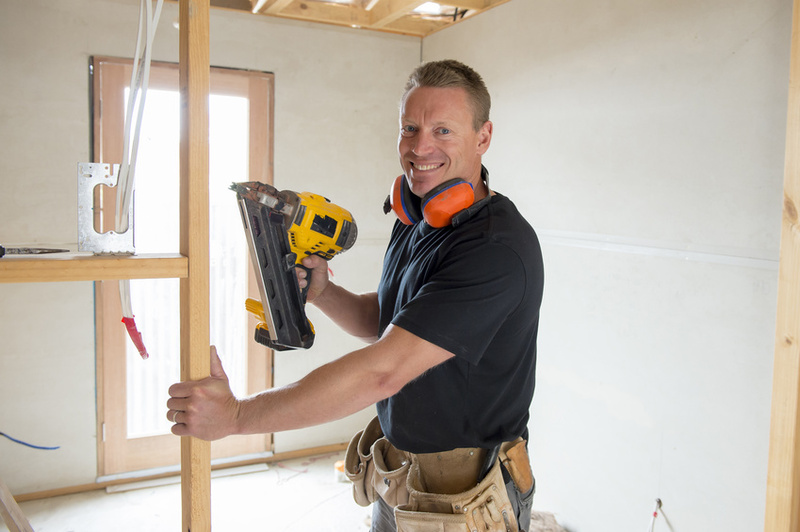 This means that you can’t just make renovations without getting permission from the property manager, which is often difficult if not impossible. When you buy a home, on the other hand, you’re free to make any renovations you want, or you can even invest in your own custom built home and make the house of your dreams appear before your eyes! When it comes down to it, making the decision to rent a home is sometimes a viable option, but buying your own home is easily the wisest long term financial decision for most people. Knowing the realities about both renting and buying is the key to making the choice that’s right for you. If you do feel as though you’re ready to browse new homes and become a homeowner, consider looking at custom built homes for maximum flexibility. For more information about owning or renting custom built homes, contact Stony Brook Estates. Many communities around the world are incorporating the idea of custom-built new homes into neighborhoods. Designing and building a custom built new home can be an extremely rewarding experience, but custom built homes can sometimes be feared. Especially since 32% of people who are looking to buy a home are first time home buyers and might be hesitant to go custom for their first home. Popular myths about choosing a custom built new home make people hesitant to choose a custom design for their new home. Here, we’ll debunk these myths and prove custom built is the way to go for your new home. Custom built homes cost way more than other homes. Often times, people hear “custom” and automatically think “expensive”. They also dear that once they start the project, they will have to pay for many additional expenses throughout the project, leaving the final prices way more expensive than they originally planned. However, custom built home companies will help customers select their own products they want to put into the overall budget. This allows total transparency and no hidden expenses. Custom-built homes take too long to build. Another fear people have about custom built homes is that they take too long to build and end up going way past the intended schedule. In actuality, like regular homes, the custom built home building process should be outlined and really take only a few months to be completed. This small time investment is worth the wait to have a home tailored to the homeowner’s lifestyle and desires. Communication with custom built home companies is not effective. Like with any construction project, effective communication depends on which company you choose. Most custom built home companies are extra involved in communicating with customers because they want to ensure that they get exactly what they want out of their home. They often walk the customer through every step of the process and handle any issues that may arise quickly and efficiently. Building a custom home is just too complex. Along with the fear of expenses, many people may also fear that choosing to new custom homes will simply be too complicated. Whether it’s the finding the right design or selecting the right materials, people think the entire process will be too overwhelming. In reality, custom built homes can actually be quite simple. Working with an experienced contractor will provide you plenty of guidance and advice along the way. This will ensure you understand the process and are aware of any options you can choose from. It’s important to be aware of these myths, and the truth behind them, because going custom for your new home is an excellent idea. You not only get to have a say in every aspect of your home, but you and your family will have a home made just for you for years to come. Homeownership is an exciting thing, but finding the best home for you and your family can be difficult. According to Zillow, nearly half (48%) of individuals want a home that has never been lived in. New homes can be difficult to find, however, and that’s why some potential home buyers turn their attention to building their own. For a lot of homeowners, new custom homes are their dream. They don’t plan on leaving until they’re dead and gone. However, there are some issues with that level of thinking. You need to prepare for the future if you’re going to live there forever. Reduced mobility is the price of age, after all. Take these things into consideration when you’re building your new home. Having a spare bedroom on the first floor to move into when you’re older, for example, can be a smart choice. Just because you have a warranty from the contractor that helped you build your new home doesn’t mean you should skip the inspection. You should have a third-party inspector come in and look through your new space before you move in. If you avoid this step, small problems might slip past you and turn into a disaster later. Ductwork is one of the most neglected aspects of a home. You want to make sure that you have the highest quality sealing and insulation on these systems. It will help you save money on energy in the warmer or cooler months, as well as give you a better and more efficient HVAC system. Don’t make the mistake of overlooking these systems when building. New custom homes can be a thrilling thing to invest in, but you can’t afford to make mistakes when building them. They’re going to be where you live for a long time if everything goes well. Make sure you do your research and cover all your bases during construction. When you start to think about buying a home, whether it’s your first or fifth, you can be bombarded with overwhelming choices. On top of having a plethora of homes to look at, it can be difficult to find a house that has everything you want. Building a custom home can be an easy way to make sure you get everything you want out of your home. Not only do you get exactly what you want, but there are also many benefits to building a custom home. Read below to find out some of the top benefits of going with a custom built home. You can design the floor plan yourself. Do you want a big, open floor plan, but could never find a house that had one? Well, with custom built homes, you can have whatever floor plan you desire. Privacy is also another factor to consider — you can choose to have your home facing the direction that allows for as much privacy as you’d like. You’ll have many floor plan options, especially when choosing a luxury homes neighborhood. New custom homes can come with the most updated energy-efficient technology. With things like windows, insulation, and solar energy, you will have the ability to update your home with the latest technology, which is becoming more and more important to home buyers. In fact, 48% of home buyers interested in brand new homes have “energy-efficiency” at the top of their desired features list. Custom built homes also allow homeowners to choose the most updated, efficient appliances. Without having to worry about who lived in the house before you, you will have the opportunity to pick out the features that will be most beneficial to you and your family. It may seem like custom built homes cost more, but in fact, they may actually save you money in the long run. If you choose to move into an older home, you will have to put money into it for upgrades, maintenance, and additions to make it into your dream home. It can be difficult to compare luxury estate homes to older homes, since custom homes are often more spacious and modern. The ability to build your dream home is priceless. You get to be a part of every step of the design process, from the floor plan to the building materials. The end product will be something you can be proud of and a place you can truly call your own. Since you’re hopefully going to be staying in your next home for a long time, it’s important that you get what you want. Do you want to spend years renovating an old house to get it up to your standards? Why not just start from scratch and ensure you have your perfect home right from the start. To start planning your dream home, contact local building companies for information on a custom home in Princeton NJ today. Home ownership is at the very heart of the American dream. Taking a piece of land and making it your own, creating a space where you can raise your family is central to the idea of what it means to be an American. New custom homes have long been seen as the best possible way to fulfill this dream. In fact, according to Zillow, 48% of home buyers prefer a home that has never been lived in; they want something untouched, something that they can truly shape to their own vision. If this notion is appealing to you, then we have some tips to help you better realize your vision. We have put together several of the most important considerations for you to keep in mind when search through custom homes. Whether or not you believe in an environmental imperative for sustainable materials and greener appliances, there can be no debate that they are a great way to reduce the cost of your monthly electricity bill. Choices as small as a design that emphasizes passive cooling and Energy Star appliances to full out solar panels and geothermal wells, making sustainable choices can greatly improve the energy independence of luxury homes. Do you prefer an open floor plan or do you like each room to have its own identity? While the battle is still being waged on cable real estate shows, if you are looking at new houses, then it is important that you know what sort of layout you might want. The best way to make this decision is to consider hosting a party. Do you want a large gathering of people, all chattering and hobnobbing with some music playing in the background? Or do you prefer a more intimate environment, ruled by conversation? Whether or not you are a parent, the school district you belong to can have a large effect on your experience in a given neighborhood. From taxes to the behavior of your local neighborhood children, schools play an important role in the way a community comes together. While buying a new home is an exciting and rewarding experience, it can also be difficult if you haven’t thought through your options. Hopefully, this guide will help you when looking for custom homes.